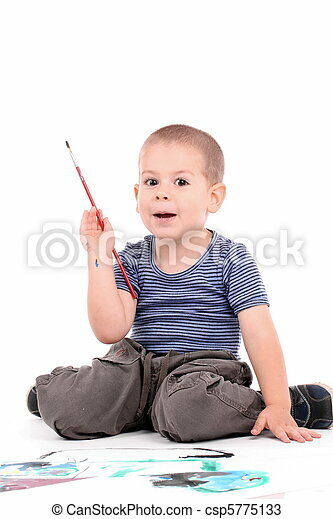 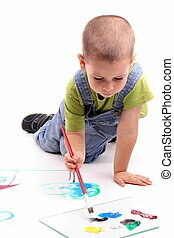 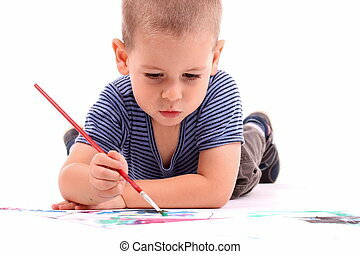 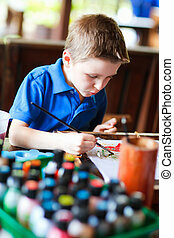 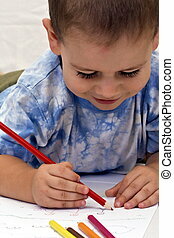 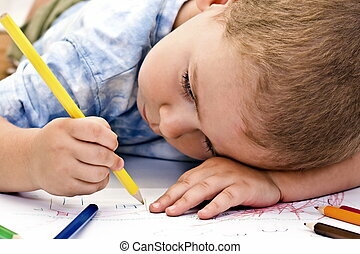 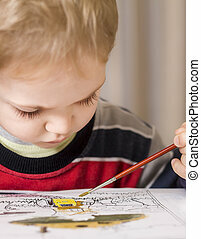 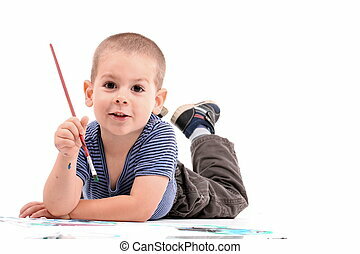 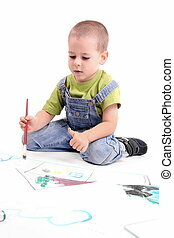 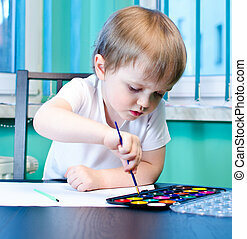 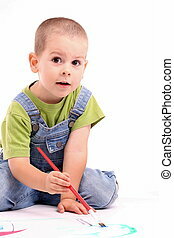 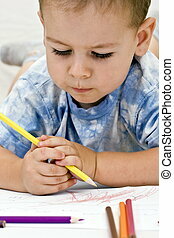 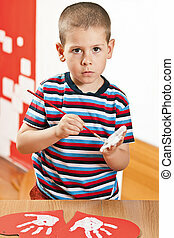 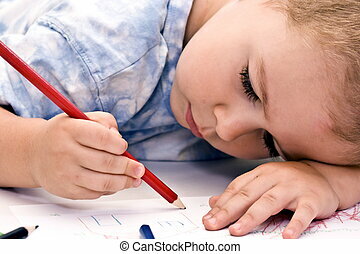 Young boy painting over white. 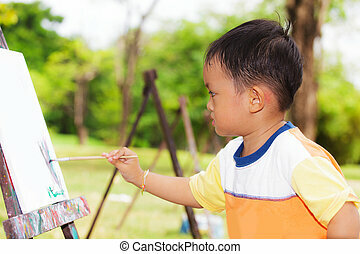 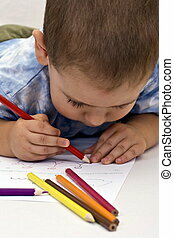 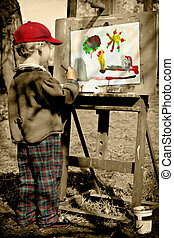 Boy painting his colorful world, outdoors. 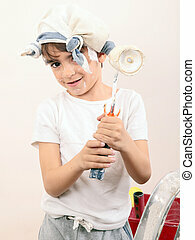 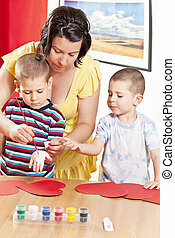 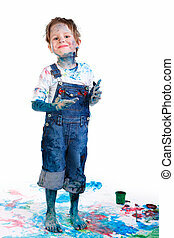 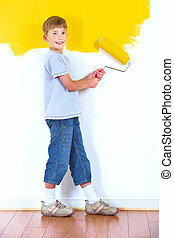 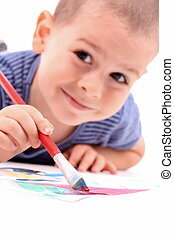 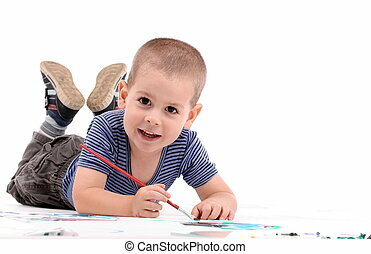 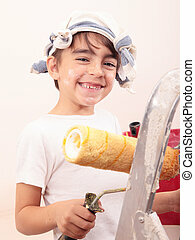 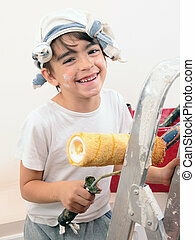 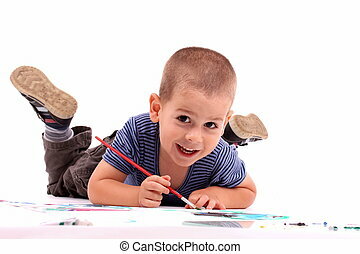 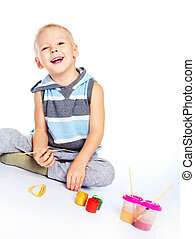 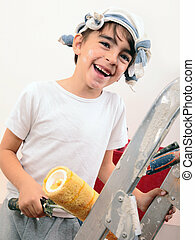 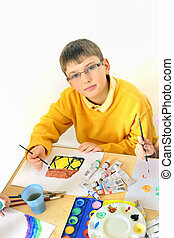 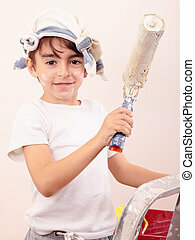 smiling boy painting interior wall of home.